Zara and Winston have an adorable FEMALE available. She is such a little peanut. We are guessing she will be around 16-18lbs full grown. She can be part of your family next weekend. What a fantastic Easter present for your family! Dolly and Winston welcomed 3 girls and 3 boys on March 16. Puppies will be going home the middle of May. We were very surprised to see that all of them are "Parti" colored, which means they look like Winston. 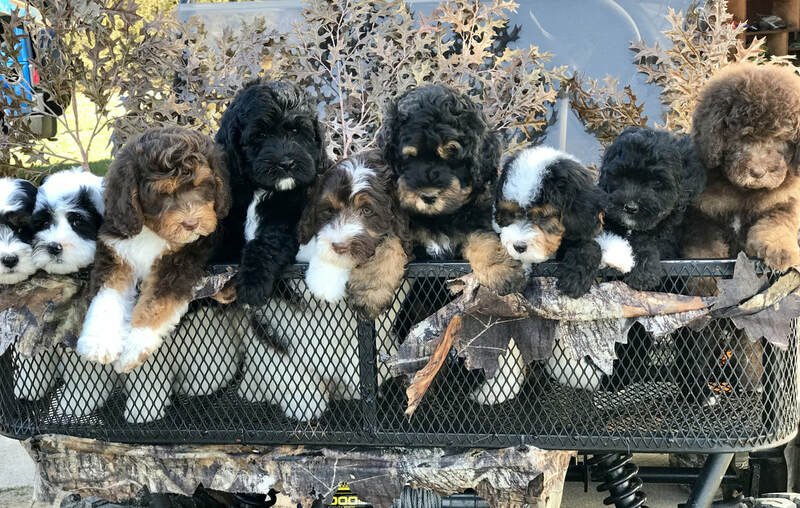 Puppies will be 20-25lbs full grown! Get your deposit in to hold your spot for one of these babies!